Turning back the clock some ten years or more – around that period there seemed to be a steady influx of great music arriving from Japan. The wonderful KBB, along with notable side projects from violinist Akihisa Tsuboy. Asturias, especially their acoustic work and of course there’s Kenso, to mention just a few. One band that passed me by however was this, mainly instrumental, Tokyo based quartet formed around 2003. 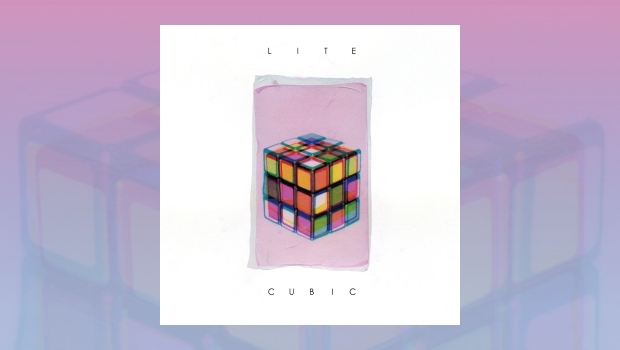 Now on their fifth release, Cubic (some backtracking to be done methinks), Lite passes the smile test with flying colours. What’s the smile test? Click the link below and if you feel the sides of your mouth rising gradually upwards, you’ll know. Conversely, if you’re not smiling at the end of the track then this may well not be an album for you. What immediately captured the imagination was although the music was catchy, quirky, edgy and complex in equal measures, it didn’t resort to brutal riffage oft associated with the Math Rock genre. On the contrary the riffs and intertwining themes meshed neatly together with just a soupçon of distortion from the guitars. The odd metering develops throughout the track, without ever leaving you with a sense of ability over content. The pre-gain is cranked a little more for Balloon, but still the music has clarity. Warp had a worrying moment when I feared we had drifted into some mutated remake of the Only Fools and Horses theme tune. I jest and once again the music is engaging in a sort of spikey way. The album moves from strength to strength as Square introduces electro elements, whilst Inside the Silence is a delayed resting point before the choppy Angled mauls and mangles the blues. Black Box acts as a bookmarker before the groove returns for album closer Zero. I could have lived without the vocalisation here – moot point.